One of the very first spreads people put in their bullet journal is the future log. 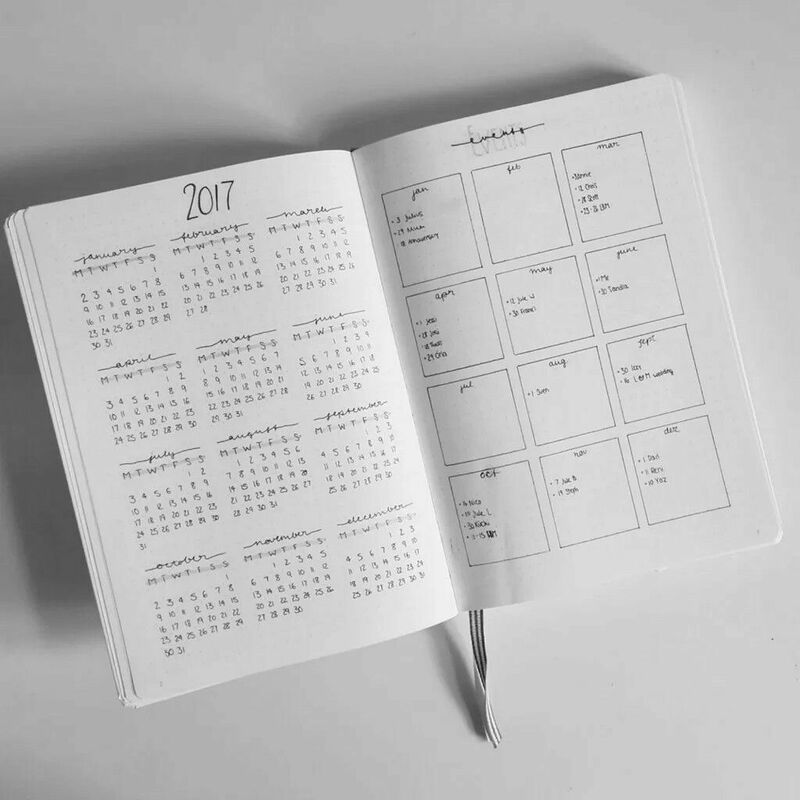 The bullet journal year at a glance is a fantastic reference guide for planning out your entire year. They are fantastic to marking holidays, birthdays, and other important dates. 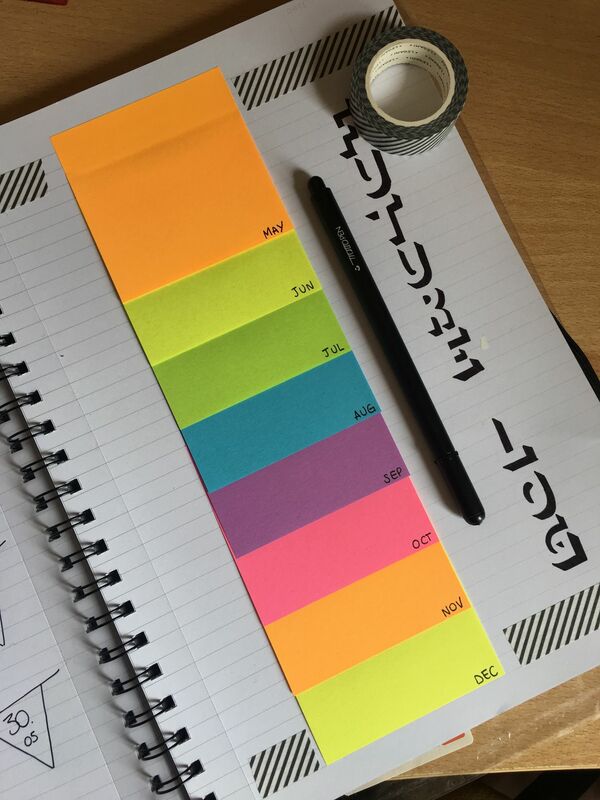 Future logs in your bullet journal are an essential spread to create. 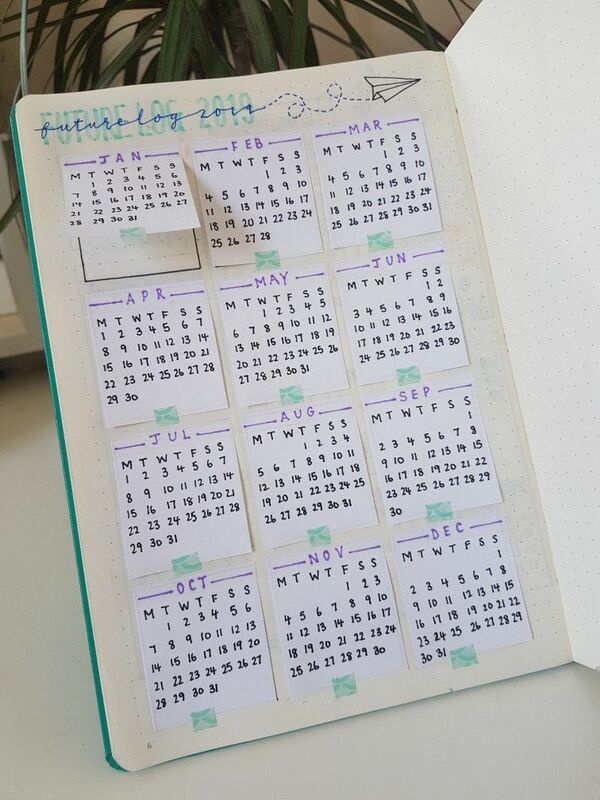 They make planning easier and are a fantastic reference when creating your monthly and weekly spreads. If you are using your bullet journal for your personal life I highly recommend using the year at a glance for personal goals and reminders. 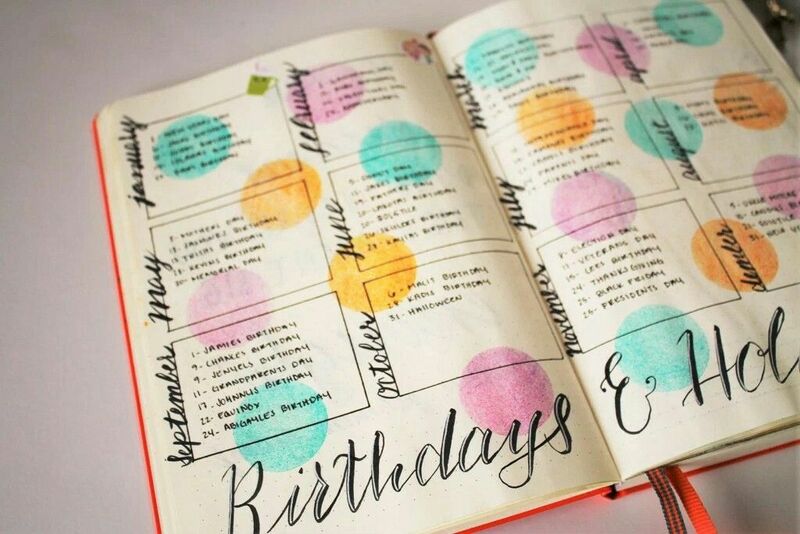 Outside of birthdays and holidays use this spread as a way to track appointments and important events that are planned far in advance. 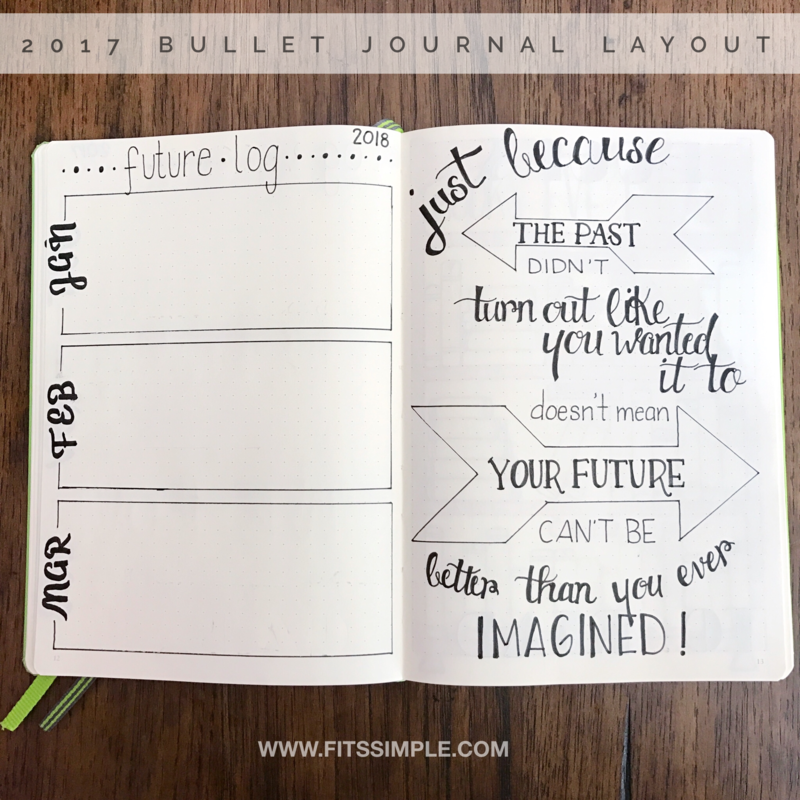 The future log in your bullet journal not only allows you to make plans in the future but to also set goals for yourself. These goals can be financial, fitness, or habit goals that you need long term tracking and motivation for. Many entrepreneurs and small business owners use the bullet journal as a way to track and set goals for their businesses. The future log makes planning launches, events, conferences, and other long term plans easy. Students especially need to embrace the year at a glance spreads. These spreads are crucial for remembering test dates, events, holidays, and projects that are coming up. Likewise you can set goals for grades at mid term and year end. 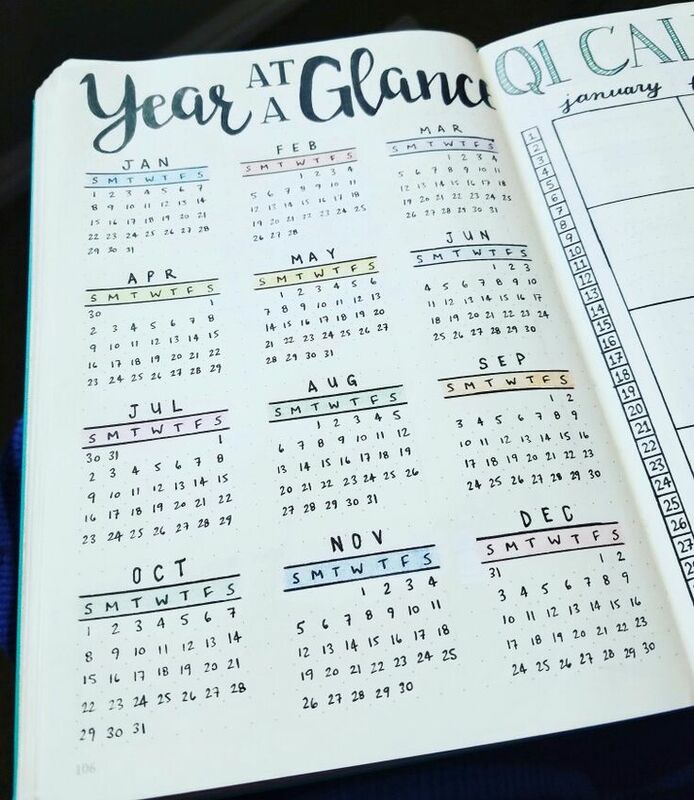 The year at a glance is not meant as a full on planner. Daily tasks or plans only made a few weeks out should go in daily, weekly, and monthly spreads. The future log is only meant as a way for you to track things that only take place once every 3-12 months. I do recommend using it as a guideline for longer goals too. Goal setting in the future log is a great way to focus on the end so you can do what needs to be done daily to reach that end goal. A simple mention in the future log works fine enough but make sure you have a detailed spread somewhere else in your bullet journal. The detailed spread will provide details to the daily actions that will help you reach your goals. Ryder Carroll’s method is super simple. When you go to create a future log think about what types of events you want included. My simple future log spread just holds birthdays, holidays, and other important dates like vacations or in the near future school dates. In creating your own future log you will want to think about exactly what you are planning on recording in the spread. You can go minimalist like I did or grab all your tools and create a beautiful spread. I prefer using a minimalist spread in my personal bullet journal because it’s simple and provides plenty of whitespace. The minimalist spreads work best when you have loads of things to plan for. 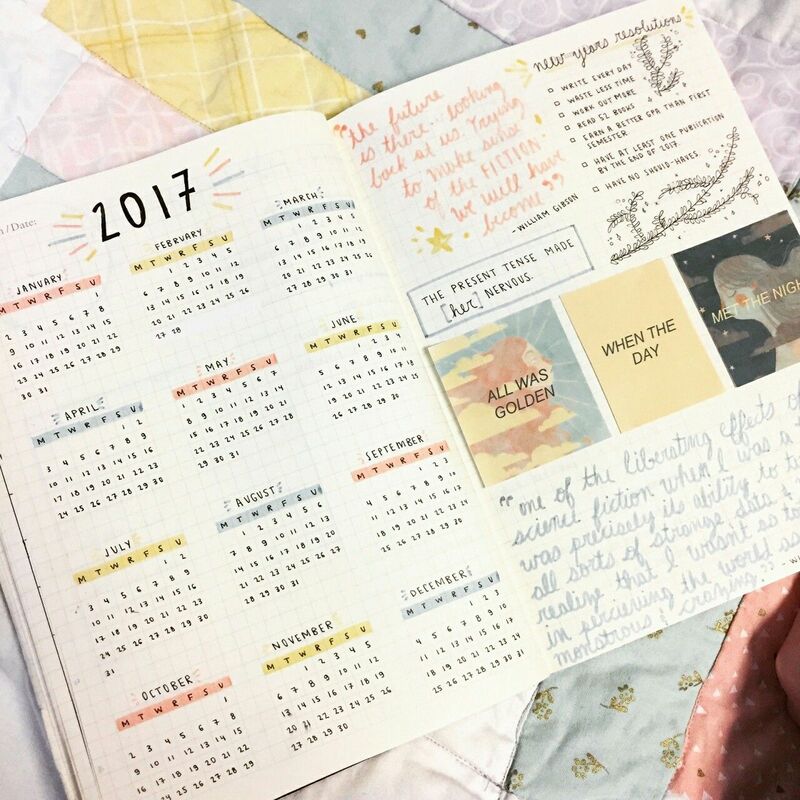 This spread is usually at the beginning of your bullet journal so it could set the tone for your entire bullet journal. If you go artistic with it you will probably end up going pretty artistic with the entirety of your bullet journal. No matter what route you take though, remember this one thing. Your bullet journal is for you not anyone else. It’s a tool to help you navigate through all your events, goals, and thoughts. If you decide half way through a journal to change it up, do it. Nobody is going to care because you are the only person looking at it. If you are sharing your bullet journal spreads other people aren’t going to care if you decide to change up your style either. They simply want more inspiration for their own bullet journal. Do you have bullet journal spreads you would like shared? Email them to [email protected] and they may be featured on an Instagram post or to the blog. Please leave your IG Username so I can tag you in the posts. Follow me on Pinterest for more like this and pin this to your Bullet Journal boards.